Hi! It has been a long time since I wrote my last post. Sorry I've been busy lately because of a lot of things to do. I even didn't come to Robokidz to practice for my robotic olympiad that will be held on the next September. 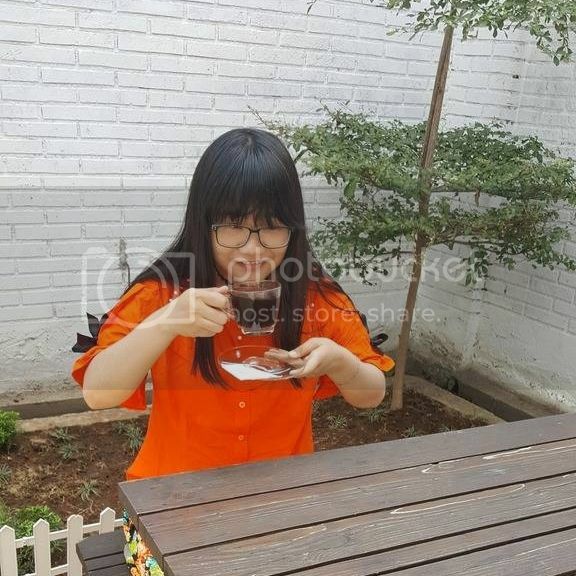 I'm so busy with my online shop, design and web request, and so on. Especially that my little cousins come and will stay here for about a month. Because I'm the oldest (child) here so I must keep them safe said my parents. That's why.. I waste my time to write in my blog to take care of them although they're not too young to be guarded. So as I said if my cousins (and also their parents) came to my house, that's mean.. CULINARY TIME!! 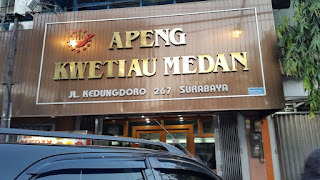 So the day before yesterday I was going explore my city and arrived at Apeng Kwetiau Medan as the last place in my one day journey list. There I full fill my empty belly after haven't eaten for a whole day long! 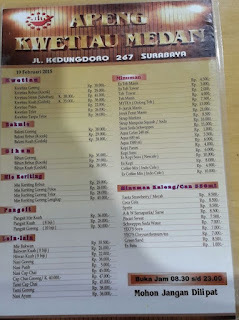 Take a look with the price range.. Not too expensive, right? It's quite cheap at all! 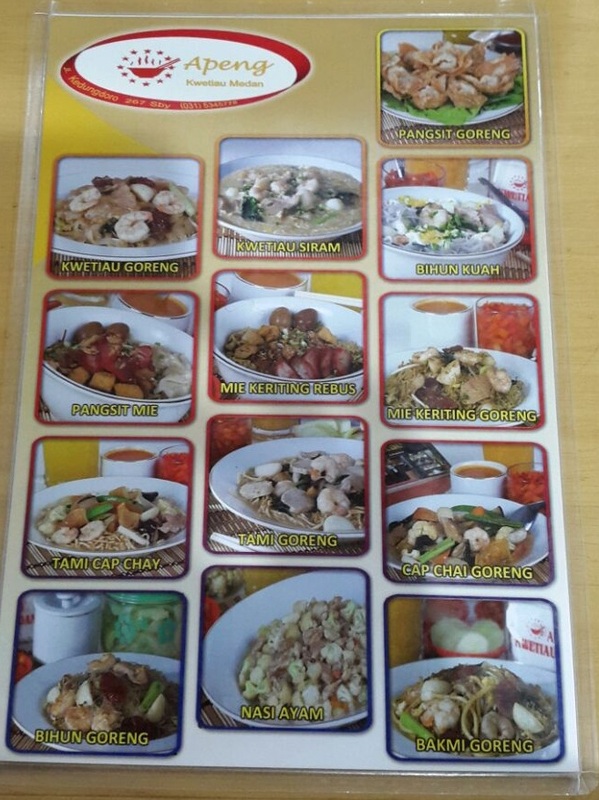 And they also put the picture of the menus bellow. 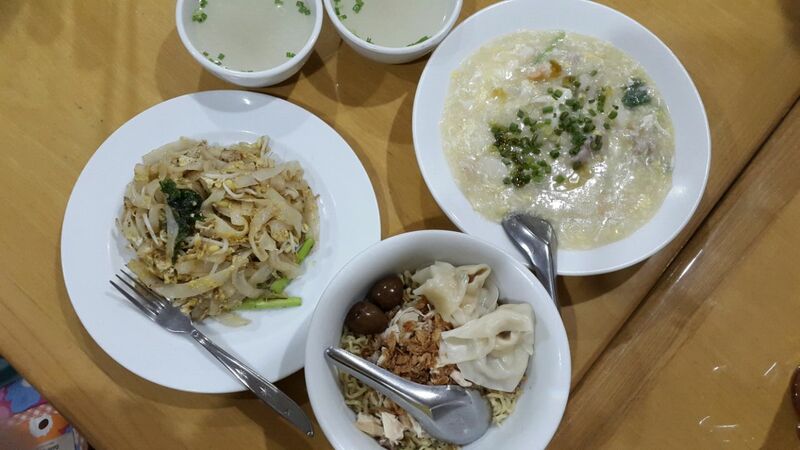 The picture above is about what my aunty chose as her dinner. 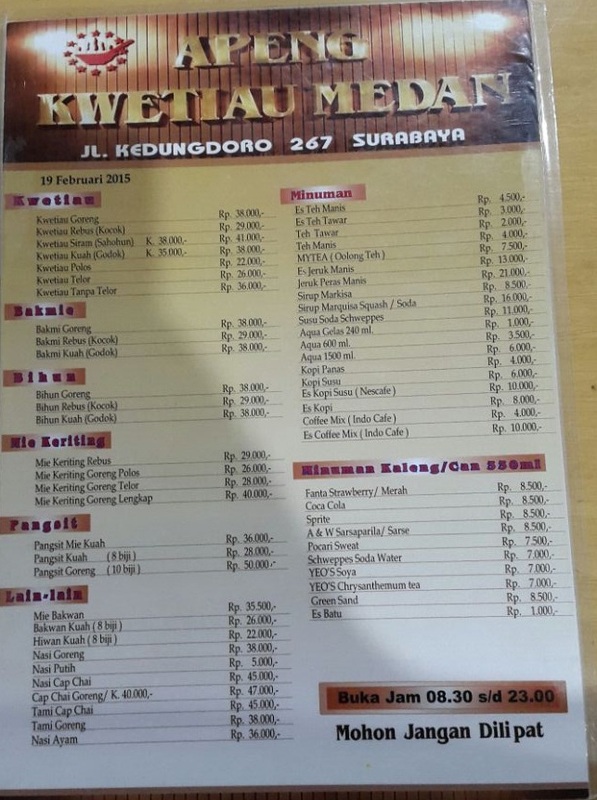 Kwetiau Goreng (IDR38k). I've ever tasted it, yummy! Don't be confuse, the picture above is Kwetiau Siram (IDR38k). The food that I chose as my dinner that day. Tasted like a porridge, so soft and...delicious! Actually I haven't know about their pickles before. 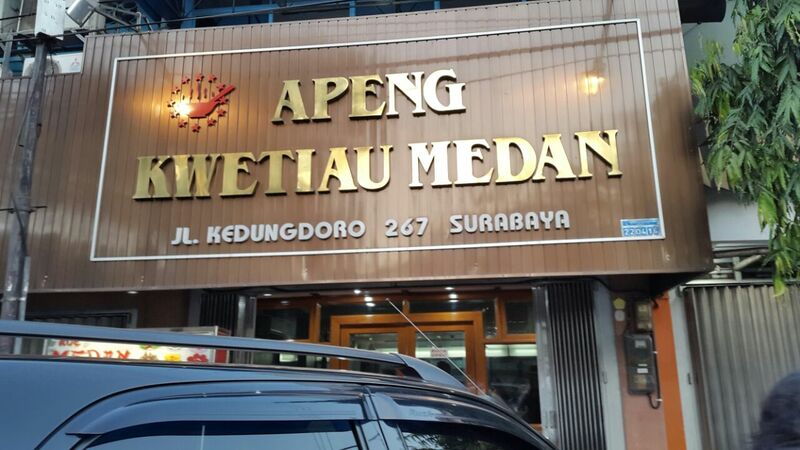 But one of my aunties said that their (Apeng) pickles is the characteristic of this restaurant. "Be grateful with every single thing, then you will receive more than you deserve to have." If you're confuse about the language I used in this blog, go click your country flag icon bellowo to translate it using Google Translate, keep watching!